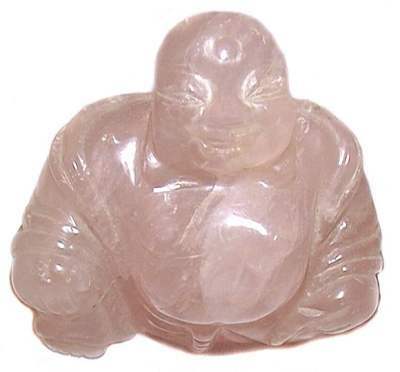 Happy Buddha carving in lovely Rose Quartz. Rose Quartz is known as the Lover's Stone, it is used to radiate soothing love energies in the home or office. Buddha sought truth, peace and enlightened spiritual growth.